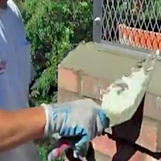 We provide chimney sweep services such as chimney repairs, chimney relining, chimney restoration, chimney crown rebuilding, masonry work, and even firebox restoration. For the past 30 years, we have maintained a superb reputation with the locals of Granby CT, Bristol CT, Rocky Hill CT, East Granby CT, Southington CT, Windsor CT and all of Hartford County. Are you in need of chimney services or chimney repairs in Granby CT? If so, trust in Northeastern Chimney, Inc. We only employ CSIA trained & certified chimney sweep technicians which helps to ensure that every task completed is performed to the highest of industry standards for both safety and workmanship. Satisfied homeowners constantly recommend us to their neighbors, family, and friends. We stand behind every job we complete and we focus on delivering 100% satisfaction to each customer we serve. It’s no wonder why we’ve become the go-to chimney sweep for Granby CT.
From the town center to villages of East Granby, North Granby, and West Granby, and up & down Rt 202 and Rt 189, residents will recognize our brightly-marked company vehicles as they drive on their way to deliver chimney sweep services to locals. We have been providing top-notch chimney cleanings, chimney inspections, chimney restorations, and chimney lining services to Hartford County CT for over 3 decades. Each professional chimney sweep technician is CSIA trained and certified and will arrive on the job site on time, in a company uniform, and in a clearly-marked company truck. We are fully insured to work on your home and every technician is highly-trained to handle even the most complicated chimney issues. Residents have come to count on us for quick response, fair estimates, and full explanations of recommended work or repairs. We complete all of our jobs in a timely manner and make sure that your space is as clean, if not cleaner, than it was before we arrived. Northeastern Chimney, Inc. remains as a good standing member of the National Chimney Sweep Guild which allows us to stay on top of all the latest products, safety procedures, and industry standards. Homeowners beware! The chimney sweep industry has been flooded with fake “chimney contractors” who are out to scam unsuspecting homeowners. These unsavory chimney contractors will attempt to lure homeowners in by promising low, low prices on regular chimney cleanings or inspections. Once they arrive, they will perform a “cursory” inspection to determine the condition of your chimney and venting system. Their main goal is to upsell the homeowner into thinking they need expensive and immediate repairs, which can cost thousands of dollars. Since many homeowners are not aware of the state of their chimney, they agree thinking it is for the best. Never commit to services you are unsure of; instead contact a reputable chimney sweep for a second opinion. Try choosing a chimney sweep company that comes highly recommended by people in your local area. Your safety is of utmost importance when it comes to the safe operation of your fireplace, heating stove, fireplace insert, furnace, or chimney & venting systems. Only trust the professionals of NEC to provide you with the top quality chimney sweep services you deserve.